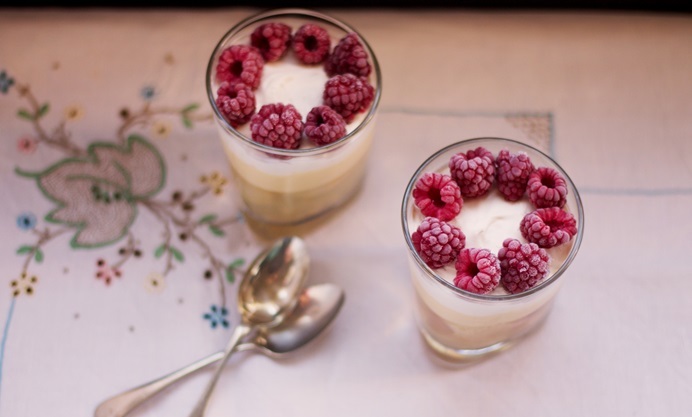 Graeme Taylor's raspberry and elderflower trifle recipe is perfect for a celebratory meal. Graeme uses homemade elderflower cordial and frozen raspberries from earlier in the year to inject a bit of sunshine into his St Andrew's Day celebrations – the ideal end to a Scottish feast. 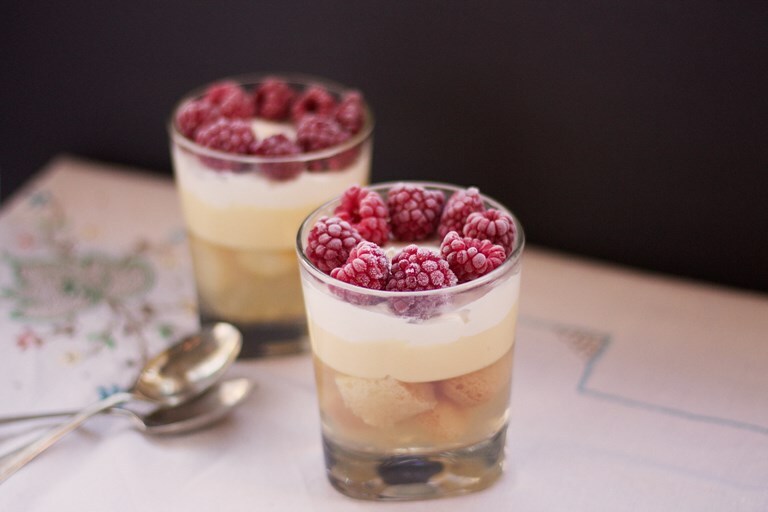 Trifle is one of my abiding memories of the 1980s, originally from the Birds packets and then homemade with fresh fruit and I think possibly swiss roll as well. And while for many it’s probably a little twee, for me it’s an ideal comfort dessert and a wonderful sharing bowl to end a celebratory meal with friends. This recipe is a way of bringing the warm memories of spring and summer to the autumn and winter table with the scent of flowers and berries. I use homemade elderflower cordial from spring to make the jelly, although shop bought is perfectly fine. Raspberries are one of the best fruits for freezing and I keep enough in the freezer to do me most of the winter. Just take them out just as you’re going to use them to give that lovely sheen of frost as you serve the trifle, they’ll defrost pretty quickly.